> First Steps>Mary Jane>Classic shiny little Mary Jane shoes with buckle fastening. Classic shiny little Mary Jane shoes with buckle fastening. Classic stylized little Mary jane shoes with buckle fastening in shiny metal finish for toddler girls. More info about Classic shiny little Mary Jane shoes with buckle fastening. 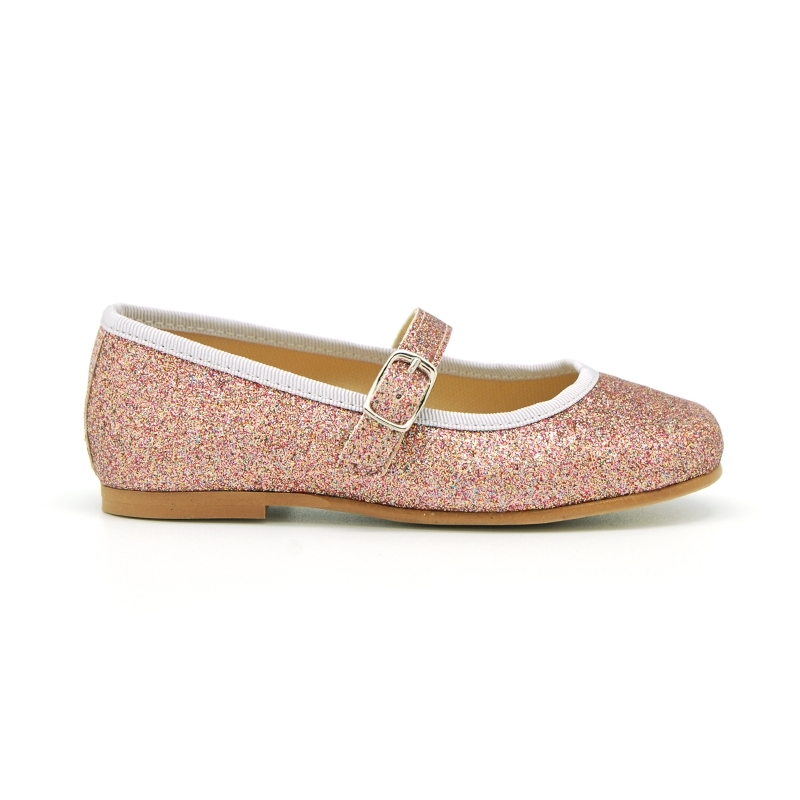 Classic stylized little Mary jane shoes with buckle fastening in shiny metal finish for toddler girls. Made up of 100% high quality textile with shiny metal finish. Very comfortable and classy. Metal effects are very trendy this spring summer. Mix and macth with all their garments. You can adjust with the buckle to the contorn of the feet for a better grip. 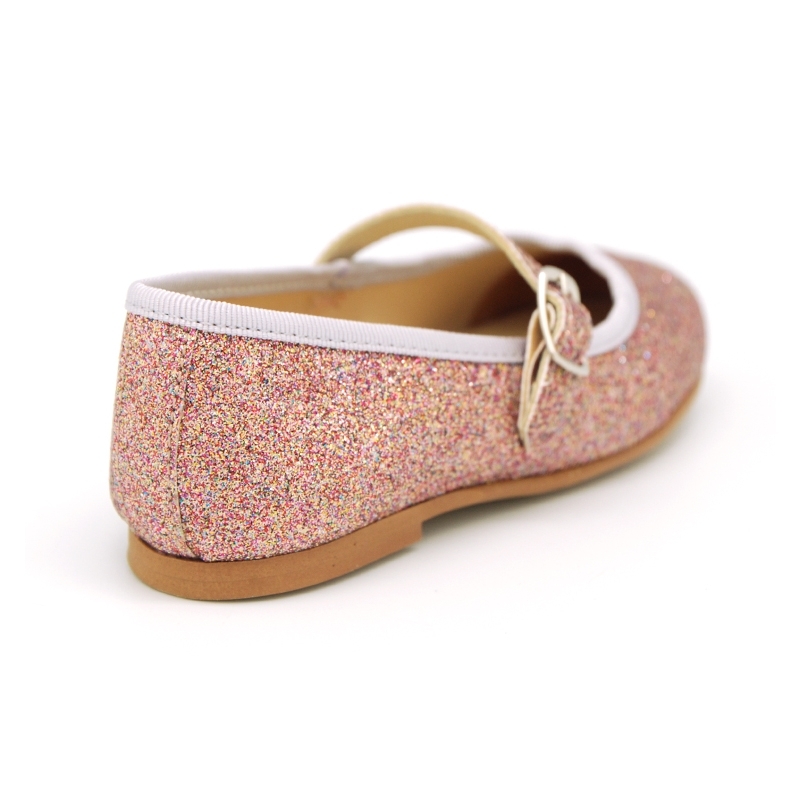 Fully lined and padde leathe footbed for a good perspiration of their feet. Outsole made up of high quality non-slip flexible texturized rubber for a smart dress. Available in 3 colors. Size range: from 23 Euro Size up to 34 Euro size. Data sheet about Classic shiny little Mary Jane shoes with buckle fastening.